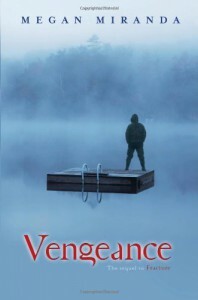 Vengeance is the sequel to Megan Miranda's book Fracture. While it is helpful to have read the earlier book, there is enough of the story in this book to let a new reader know what has happened. The previous book was told from Delaney Maxwell's perspective while this one is told from Decker's. Delaney has survived a fall through the ice and a week in a coma. This tragedy was followed by the death of a classmate and another acquaintance. Now everyone in town is wondering if Falcon Lake is cursed and what part Delaney's survival is playing in all this. Decker is Delaney's next-door neighbor and boyfriend. He loves and understands Delaney but when tragedy strikes his family he struggles to accept Delaney's part in it. This book is part romance and part psychological thriller. Is Falcon Lake trying to pull this group of friends back into the water or is there a more human answer? I liked this book as much as I did the first one (which was a lot). The characters are believable and likeable. 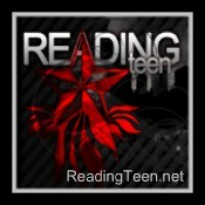 The story involves high school kids as well as their families and it held my interest from start to finish. If you haven't read this series yet, I highly recommend it!